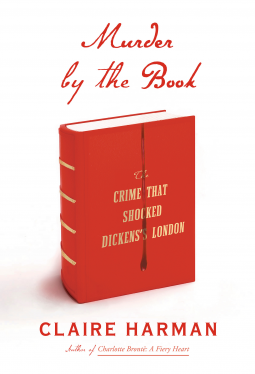 Thank you to Knopf Doubleday Publishing Group for providing me with a copy of Claire Harman’s Murder by the Book, in exchange for an honest review. 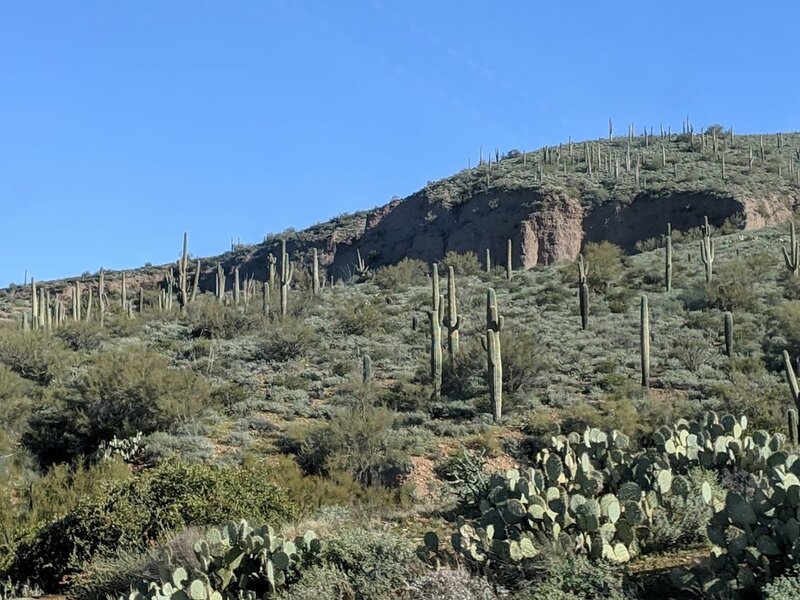 We checked out of the Pointe Hilton Squaw Peak Resort early in the morning and started our drive to Flagstaff, stopping for breakfast at a Waffle House located on the outskirts of Phoenix. A visit to a Waffle House is something that I only associate with vacations. As far as I am aware, we don’t have them in California. They are cheap greasy-spoons and the seats are all plastic, so that the syrup can be hosed off. It’s both gross and brilliant. 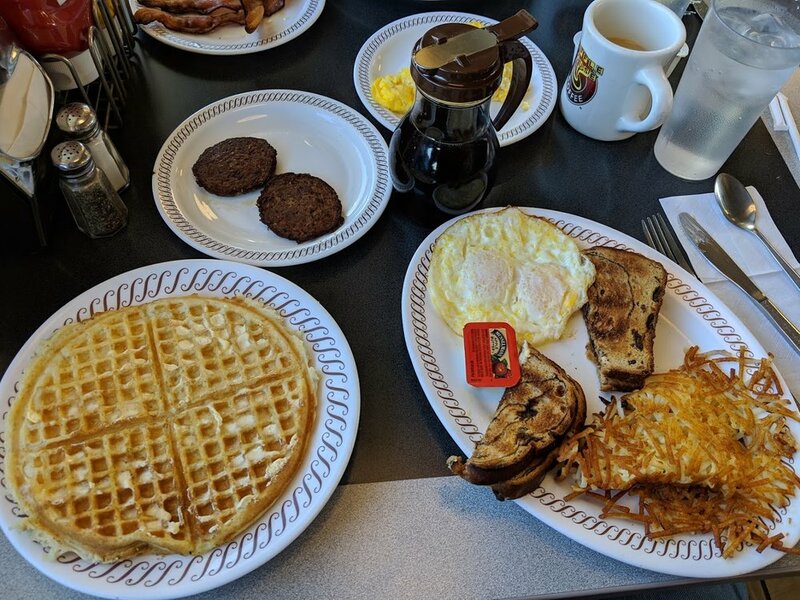 My first Waffle House experience was in a dicey part of rural Georgia and it left me unimpressed, but since then, I’ve come to appreciate their particular brand of charm. Plus, the employees are always exceptionally welcoming and the people watching is first-class! 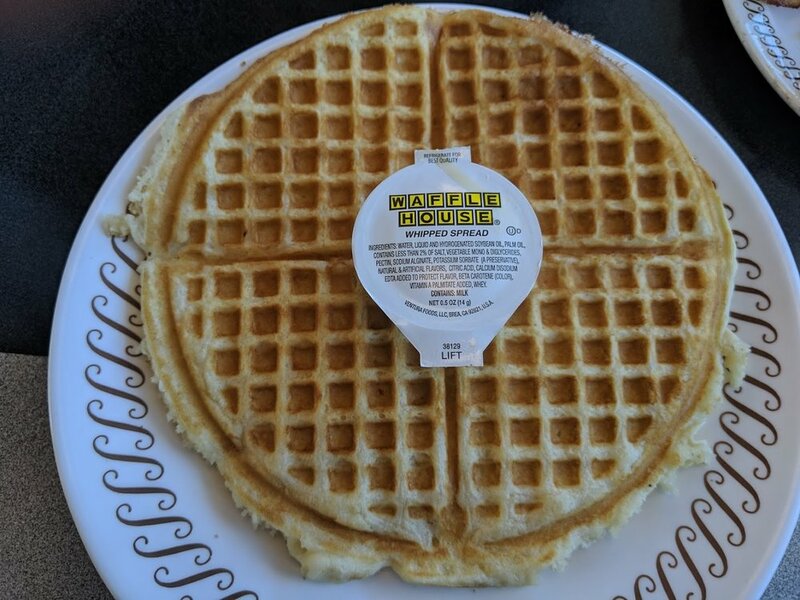 I’m not even a big fan of waffles, but what else are you going to order at a Waffle House? 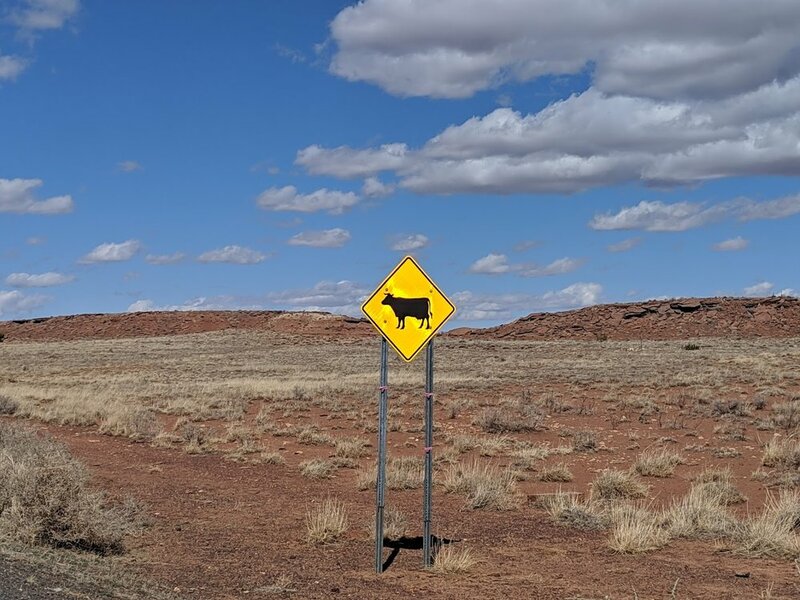 Shortly after getting back on the road, we saw a mule crossing sign! On our drive, we saw so much cactus. It was perfect, Hollywood westerns style cactus. A few hours later, the cactus gave way to pine trees and snow. And the stunning San Francisco Peaks of the Coconino National Forest. 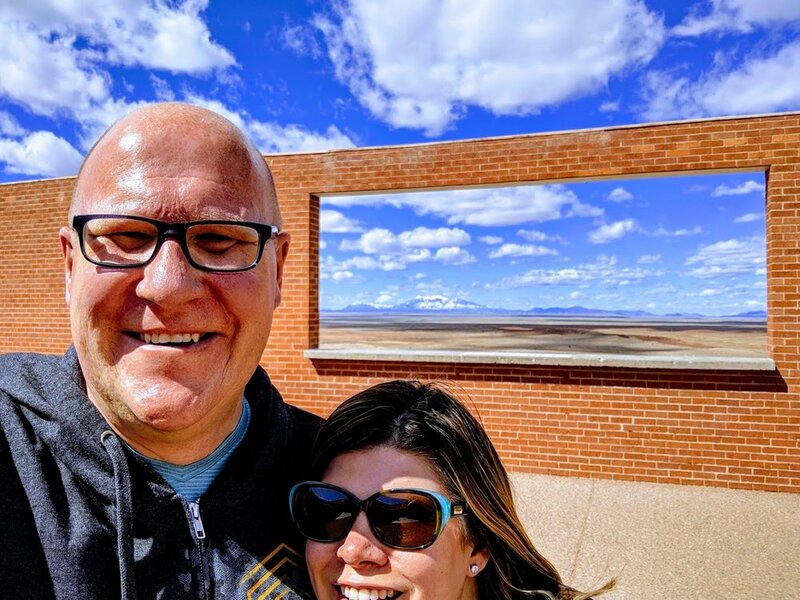 We learned that the Meteor Crater Natural Landmark was just a short drive beyond Flagstaff, so we added it to our itinerary, which meant that we would need to do a little backtracking on our drive. 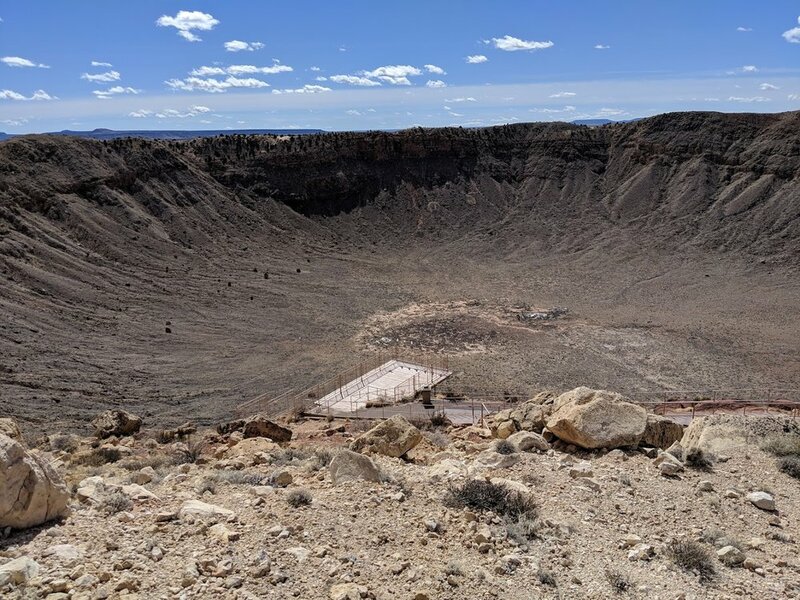 As previsiouly mentioned, Dan hates backtracking, but he was so excited to see the Meteor Crater Natural Landmark, that he didn’t even complain! I have to admit that previous to this trip, I had never heard of Meteor Crater Natural Landmark. It’s a big deal and I have no excuse. We stopped for gas at the Sinclair located in the Little America Travel Center. This place seemed very familiar, but it wasn’t until later in the evening, when we were in our hotel room and flipping through channels, that we realized why we knew it. We landed on a E Television special about the making of National Lampoon’s Vacation, a movie we’ve both seen a billion times and we saw that the Little America Travel Center was the location for the scene when Clark stops for gas and can’t find the gas tank. It was bizarre to have come across this program on the same day that we visited the filming location! Also, someone needs to buy me the Sinclair stuffed dino. Dan offered and I said that I didn’t need it… but in retrospect, I totally need it. My birthday is in August. Put a bow on it and post it to me please. It’s so cute! 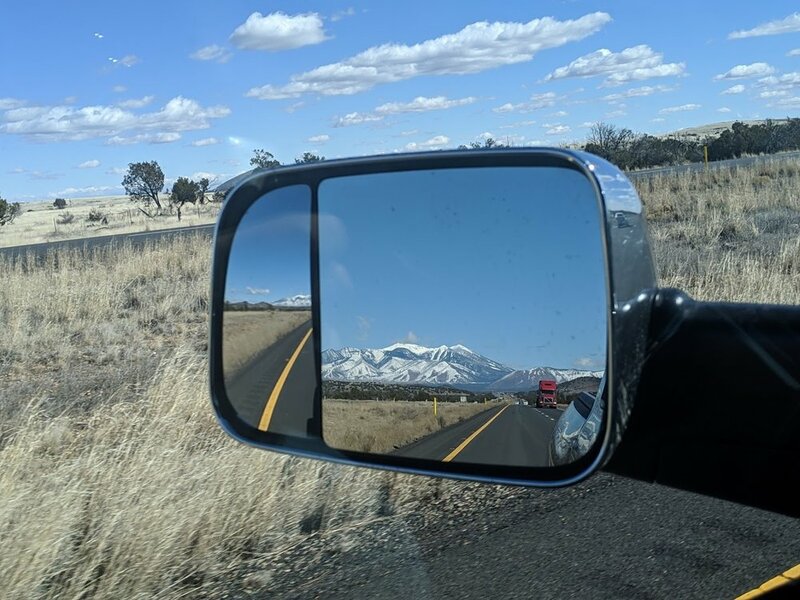 Dan took this great shot of the San Francisco Peaks reflected in the wing mirror of our truck. Meteor Crater Natural Landmark is the site of a meteor impact that happened fifty thousand years ago. It is massive: 560 feet deep, with a 0.737 mile diameter. The crater was discovered in the 19th century and became a popular place for scientists to study, formulating many theories as to the cause of the impact. NASA astronauts also used the crater site for training. We visited Meteor Crater Natural Landmark on a Monday morning in early March. It was the perfect time to visit. We were among only a handful of tourists and it was easy to enjoy the crater lookout points and all of the exhibits. Looking at the size of the parking lot, this place gets packed. I cannot even imagine trying to visit during school holidays. 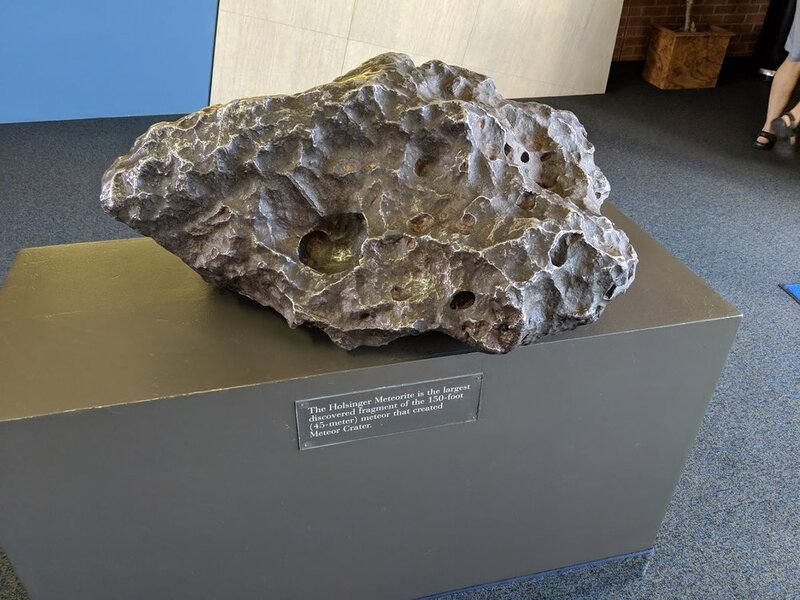 We spent about an hour at Meteor Crater Natural Landmark. 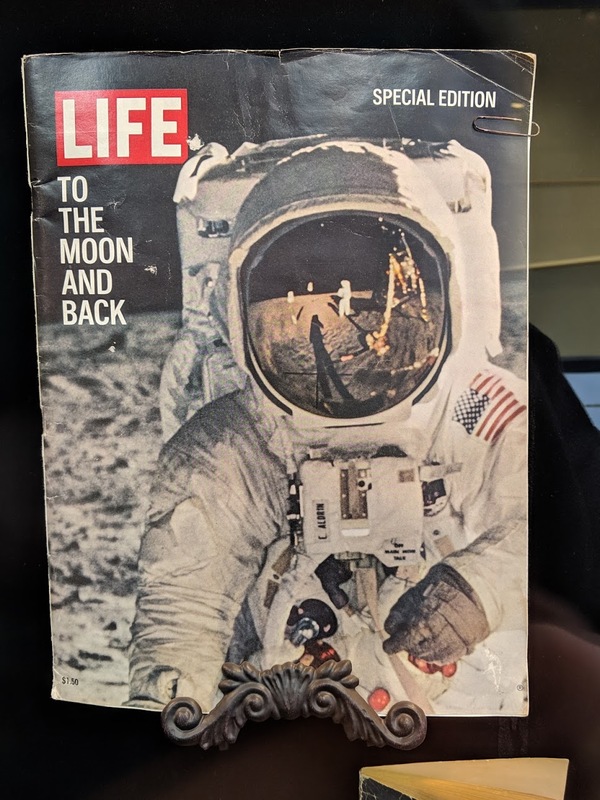 The admission price was eighteen dollars for adults and included a small museum exhibit, access to the crater observation deck ( including hiking areas), and the option to take a free guided tour. Dan was most interested in looking at the crater and taking pictures, while I was more interested in the museum portion. We explored together and then split up to spend more time in each area. Watch out for baby cows and big cows! Located in the hills of Phoenix, Pointe Hilton Squaw Peak Resort is a luxury hotel with an incredible pool complex. We arrived in the mid-afternoon, ready to thrown on our swim suits and indulge in umbrella drinks. The resort grounds are sprawling, featuring multiple buildings and pools. Pointe Hilton Squaw Peak Resort reminded me of Disney’s Hollywood Tower of Terror attraction, with its Spanish styling and vintage vibe. The pool nearest to our room was surrounded by grand fountains and lush foliage. Although not official an “adult-only pool,” this pool seemed to be primarily occupied by adults and it featured a swim up bar with seats in the water. On our way to find the main pool complex, we got a little lost and discovered the gym and day spa. We noticed that there was a very large outdoor pool and spa in the gym complex that was completely empty. We walked in and found out that use of the gym and pool were part of our resort fee. I think this might be the best kept secret, especially in the summer, when the resort is busy. This pool is somewhat hidden and I don’t think that it would occur to most guests that it is available for their use. After an hour of lounging around in our private pool, we were ready to keep exploring. Quickly, we discovered that the main pool complex was just a two-minute walk from the gym. The main complex is gated and hotel guests need to show their room keys in exchange for a colored wrist band that allows access. The pool complex has a fun wild west theme, that even includes facades of a western town. The area has two levels, with various pools and waterslides. We went straight to the lazy river! Unlike many hotels, the lazy river tubes are provided free of charge and they also have cubbies to store belongings. The lazy river was relaxing and didn’t include any waterfalls or squirting water features- which I usually avoid like the plague! There were plenty of pool toys available for use and the main pools had pool basketball. Besides floating in the lazy river, we spent most of our time parked on lounge chairs, enjoying cocktails. The food and drink options were plentiful (although some of the selections, like a BBQ, were seasonal) and the prices were similar to other resorts. There was also a miniature golf course and tennis courts in the pool complex. So much to do! We were busy having fun and left the camera back in the room, however, the pool complex is very impressive, do a google image search and check it out! Our room was also very nice. 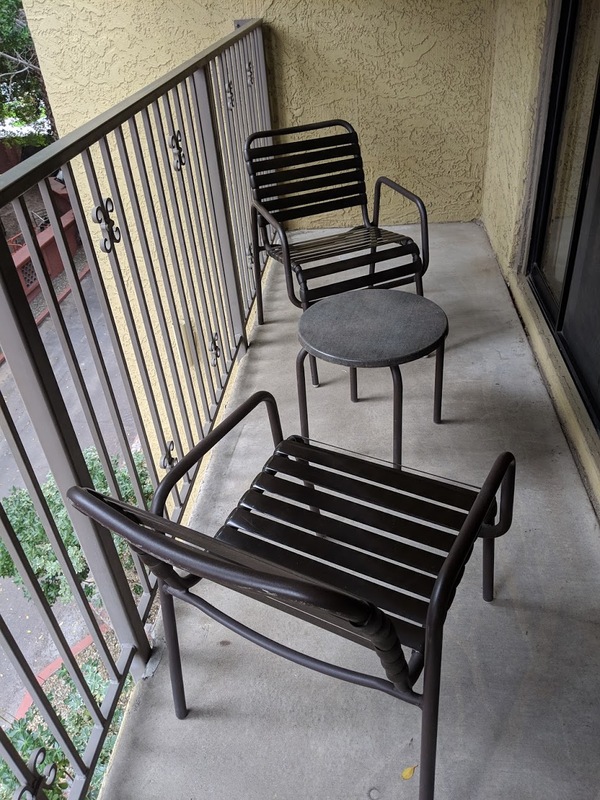 We had a one bedroom suite with a balcony. The door opened into a small living area with a couch, television, wet bar, and desk. In the middle portion of the room, we had a small bathroom with a separate vanity and sink. 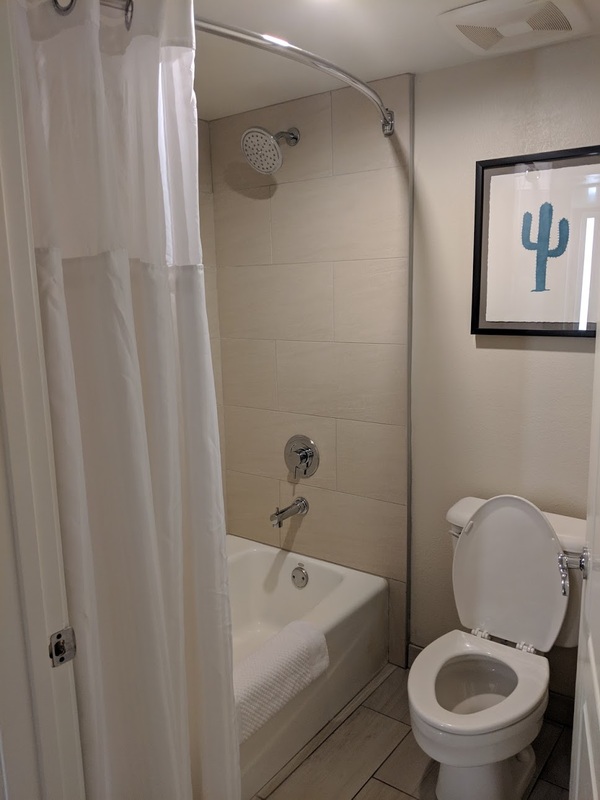 The shower/toilet area was the only disappointment in the room. It was a tight squeeze and had a pop-in/ pre-fab shower unit: very out of place with the tone of the rest of our room. Our bedroom featured a king bed, large dresser, closet and television. There was access to a private balcony off of the bedroom. I appreciated the resort touches, such as throw blankets and plush robes. Bathroom aside, this was a lovely and comfortable hotel room. The main restaurant for the resort is called Rico’s. It is open for all meals and cocktails, but is also the main breakfast spot. We tried to go for breakfast on Sunday morning, but it was absolutely jammed. We skipped it and headed out to explore Phoenix. During our brief visit to Phoenix, we learned a few things. First, there are plenty of restaurants and shops. It seems like Phoenix has just about every major chain restaurant that we could wish for, plus many more. On the flip-side, these restaurants were absolutely busy on the weekends. Almost unbearably busy. We managed to find an Einstein Bros. Bagel restaurant for a quick breakfast. The previous night, we ended up at a great burger place called Bubba’s 33. Yummy food and the most amazing service by the entire staff. The service was so notably good, that we even spoke to the manager to pass along the praise. 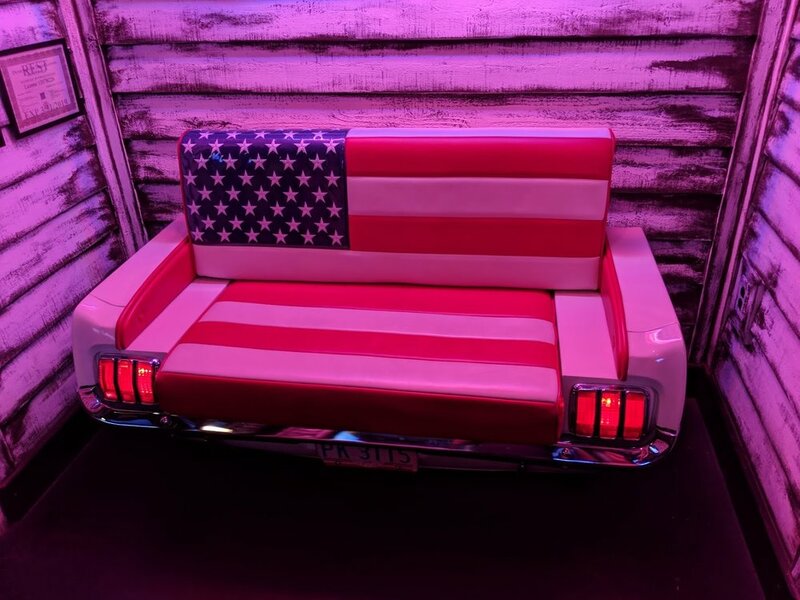 It has fun Americana decor and for bonus points, I was seated next to a Sinclair Gasoline Dino sign! After dinner, we visited the local Fry’s Electronics. 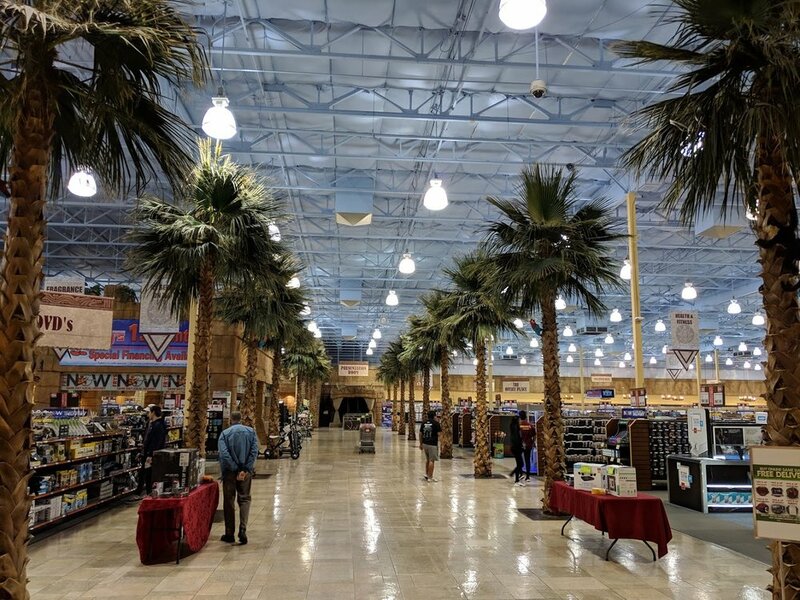 The best thing about Fry’s Electronics is their over-the- top theming. The Phoenix location was no exception. They even had mannequins! Dunkin Donuts is still a special thing for me. They have only recently arrived on the west coast and none are near where we live. We stopped at the Dunkin Donuts near our hotel just before they closed and got large iced coffees with Girl Scout Cookie flavors. A little sickly, but also tasty. The super sweet woman working the closing shift, gave us whole bag of Munchkin’s for free and also upsized our drinks for free. Truly, everyone we encountered in Arizona was exceptionally friendly. In the morning, the weather wasn't warm enough to use the pool, so we looked at model homes. For a few years, we’ve been contemplating moving and checking out model homes has become a favorite activity. Even my step-kids enjoy it. Phoenix seems like a great place for a potential move and we were really impressed with how much house you can get for your money. We looked a bit beyond Phoenix, out in Chandler and Gilbert. I’m not ready to move just yet and I’m not sure that Arizona is in our future, but I definitely like what I saw. By the mid-afternoon, the temperatures had warmed up and we went back the Pointe Hilton Squaw Peak Resort for pool time. We had quite a few cocktails, but luckily we were able to walk to a nearby Chinese restaurant for dinner. The Pointe Hilton Squaw Peak Resort is a gorgeous property and a great place for a romantic getaway or family vacation, however, we decided to end our stay a day early. 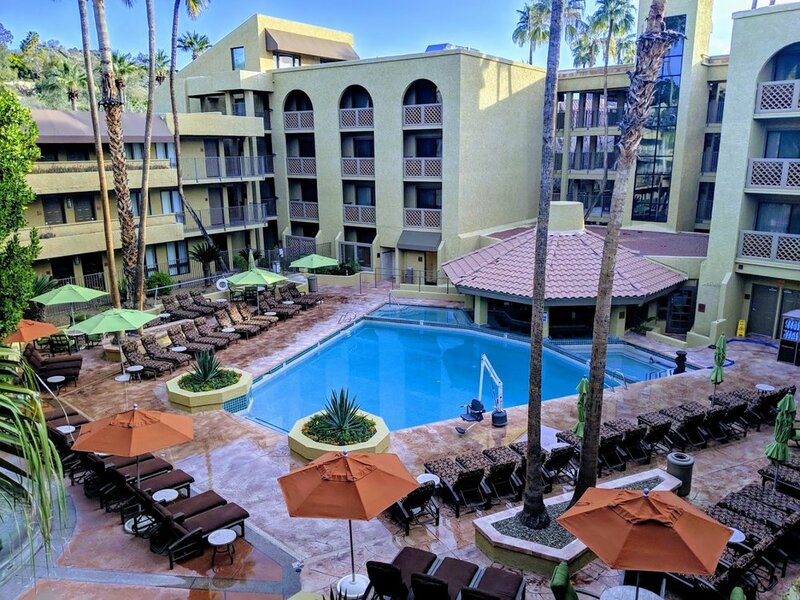 We had been hoping for an escape from the cold weather that we were experiencing in California and although Phoenix was warmer, it was just barely tolerable for lounging around the pool. Since it was chilly, we changed our reservations and headed out for an unplanned Flagstaff adventure.